The Britax Boulevard ClickTight ARB is a top convertible seat. This product managed to earn higher marks in almost every metric than any other option we looked at, and it impressed testers with its super easy belt installation. While it has a lower crash test safety score than a few of the Britax options we tested, it earned higher scores for quality and comfort, as well as ease of use and installation. Given the importance of installing a car seat correctly and how this ties into a safer riding experience for your baby, we feel the installation scores make the crash test results less concerning. It has a better crash test score than the Britax Advocate ClickTight ARB, and for that reason, we prefer this ClickTight over the more expensive Advocate. The Britax Boulevard ClickTight is one of the easiest seats to use. The chart shown here provides an overview comparison of the overall scores for the convertible car seat we purchased and tested. Given the high overall score, it is easy to see why the Britax Boulevard ClickTight ARB (in blue) won an Editors' Choice award. The sections below provide detailed information on how the Boulevard ClickTight ARB performed during testing in each metric. The Boulevard offers EPP foam inserts in the headrest that the manufacturer claims helps protect baby in the event of a side impact collision. The Britax Boulevard ClickTight earned an average score for crash tests in this review. All of the seats in this review and sold in the US must meet or exceed Federal safety guidelines as defined in FMVSS 213; which means this seat is considered safe and performed better than some of the competition in an apples-to-apples comparison of results from identical test methods. 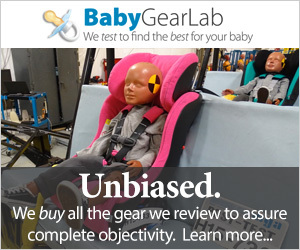 The test methods BabyGearLab uses are identical to those used by the National Highway Traffic Safety Administration (NHTSA), for a true side-by-side comparison of results. The Britax Marathon had the best overall test results in this review with the recorded G-forces being the second lowest HIC results and the third lowest chest clip results. In comparison, the Boulevard had G-force test results that were the fourth lowest for HIC sensors and the second highest for the chest sensor, which hurt its overall rank compared to the competition. However, the HIC forces are far below the maximum allowable by over 710 points and below the maximum chest forces allowed by almost 10 points. The charts below show the test data from the test dummy sensors in the Boulevard (shown in black) and the test data for the seats in this review that have the lowest recorded G forces (shown in green) for comparison. The G-force head sensor data for the Boulevard (in black) compared to the Essentials by Britax Allegiance (in green). The G force chest sensor data for the Boulevard (shown in black) compared to the Clek Foonf (shown in green). The Britax Allegiance head sensor recorded the lowest G-forces during testing than the other options we tested. The Clek Foonf chest sensor recorded the lowest amount of G-forces compared to the other products we tested. The Britax Advocate ClickTight ARB differs from the Boulevard ClickTight by having one of the lowest crash test scores in the review. This metric is the only one where the two diverged in their test results, with the Advocate earning only 3 of 10. The honeycomb base on the Boulevard is designed to help absorb impact forces in the event of a crash. The Boulevard also has a honeycomb-shaped component in the bottom of the seat that is designed to absorb the impact from a crash. While it is hard to say that it does this, we like most additional safety features over the standard fare found in most car seats. The ARB version of the Boulevard also includes a removable anti-rebound bar for the rear-facing configuration of this product. This feature is designed to decrease the amount of seat rotation during an accident to prevent the baby from moving too much in the seat. The LATCH clips on the Boulevard are the simpler version that is somewhat harder to remove than the push button type that mimics a seatbelt. The Boulevard ClickTight earned a 10 of 10 for ease of installation using the LATCH system. While this seat is known for its easy installation using the vehicle belt, it is just as easy to install using the LATCH hooks. The LATCH hooks are the clip style, which makes them more difficult to remove (you'll need to push them in and then turn them sideways to pull out), but they work well and are easy enough to use. The seat feels stable once installed and the LATCH belt is easy to tighten and release, or at least not as difficult to release as some of the competition. The recline angle adjustment handle is located on the foot of the seat base on the Boulevard and is easy to operate, but difficult to use when the seat is in a rear facing configuration. The handle for recline adjustment is located near the foot of the seat, as it is in the other Britax options we tested. The handle placement can make adjusting the angle difficult after installing the seat in the rear-facing direction, so we recommend changing the recline before installation to avoid the hassle of loosening the straps to fit your hand in between the car seat and the vehicle seat. Forward Facing vehicle seat belt installation using the shoulder belt for the Britax Boulevard ClickTight. Installation of the Boulevard using the vehicle belt is where it shines in the competition. This car seat earned a score of 10 of 10 for this metric tying with the Britax Advocate ClickTight ARB that shares its installation design. These photos show the belt path for Boulevard in the rear-facing position (above left) and the front-facing position (above right). The button on the front of the Boulevard seat bottom is used to open the seat bottom to access the belt path. The ClickTight has a relatively unique belt installation method with a built-in lock-off that is virtually foolproof and makes installing this seat the easiest option we tested, by far. The method means there is no more fumbling around with the seat trying to get the belt tight enough or contorting yourself into the back of the seat to apply pressure to tighten the belt. The video below shows an overview of the installation of the Boulevard ClickTight. To install the ClickTight you lift the seat bottom up, thread the belt across the seat bottom, remove the slack (do not try to tighten), and then close the seat bottom by pushing it back down until it "clicks" (hence the name of ClickTight). This installation is so easy we were able to manage it entirely from outside the vehicle without the need for extra pressure on the seat. The seat is very stable and felt secure after every installation, and in every car, we used for testing. Even threading the belt is easier than the competition because once you open the seat, the belt path is right there and easy to access with no need to feed the belt through small openings. The boulevard has 7 recline positions and a level indicator that helps parents ensure that the seat is installed properly. The Boulevard has an installation indicator that helps caregivers determine when the seat installation is at the right angle in relation to the vehicle seat (not recline angle). The Boulevard harness release button is fairly deep inside and larger fingers may have difficulty with the opening and shorter fingers may struggle as well. The Boulevard earned an 8 of 10 for ease of use, which is once again the highest score in this metric (it seems to be a pattern here). Ease of use impacts your day to day activities and happiness with a seat, making it one of the more important metrics to consider when choosing a product. The video above shows some of the features of the Boulevard ClickTight. The buckle and chest clip on the Boulevard are easy enough to use, though not the easiest in the group. The Boulevard only earned a 4 for its buckle ease of use, but most of the competition came in with the same score, and only a few scored higher. The buckle isn't hard to use and works with one hand, but it is stiff and might be difficult for some people. The chest clip releases without putting your hand under it. The Boulevard has an easy to adjust, non-rethread harness height adjustment that work smoothly and is easy to operate. The harness on the Boulevard is a non-rethread option that has 14 positions and moves smoothly after squeezing the handle to adjust the height. The harness can change heights with your baby in the seat which is convenient and ensures it always fits properly. Tightening the harness uses the Britax "Click & Safe" harness tightening method where you pull on the strap until it clicks indicating the harness is tight enough. We suggest you still double check the tightness with the pinch test, but we love that Britax is trying to innovate their products to make them easier for parents and safer for children. The strap slides in and out smoothly with little force required to tighten. Loosening the harness is done with a button located relatively deep under the seat cushion and behind a plastic bevel that prevents little fingers from touching it. The crotch strap has two positions that help ensure the right fit for most babies. The tether and LATCH clips on the Boulevard all stow away in pockets with plastic covers. The LATCH clips on the Boulevard store in small plastic cubbies on the back of the base and the LATCH tether stores in a hard plastic pocket at the top of the seat back. Both storage compartments keep the connectors safety out of the way if necessary. The Boulevard user manual stores behind the seat back and padding. We think there is a chance the manual could get damaged in this location, but it isn't the worst spot in the group. These storage locations are identical to the Britax Advocate ClickTight. The Boulevard manual stows behind the seat back fabric against the shell. The cover for the Boulevard is hand wash only and line dry. This washing method is a bummer given that some of the competition have machine washable covers. On the upside, this cover is relatively easy to remove and comes off in four pieces making removal quick and painless. Even though the cover tucks into the shell for a seamless look, it is still easy to put back on. Given that children can be messy, we think it is important that the covers are washable. The Boulevard scored well for quality and comfort with a nice overall fit and finish that is sleek and polished looking. This ClickTight seat excels in the comfort and quality, once again earning the high score in the review. This seat earned a 9 of 10 offering additional padding, a padded headrest, and a thicker seat bottom. The fabric on the Boulevard is nice. The seat bottom is dense and feels thicker and more comfortable than much of the competition. The fabric looks like it will wear well over time and it fits snugly and tucks into the shell, so it looks relatively seamless. The plastic shell on the Boulevard helps make the seat look sleek and keeps all the parts in their place. The shell on the Boulevard is almost fully contained. It looks like it will stay clean with a quick wipe and won't get hung up on anything given the lack of nooks and crannies or sharp edges. We like smooth seat backs as they are easier to clean and less likely to cause injury or damage to the vehicle. The Boulevard has Expanded Polypropylene (EPP), and we prefer this kind of foam to the more common Expanded Polystyrene (EPS). It is less brittle, doesn't off-gas, and is more environmentally friendly. The seat bottom on the Boulevard is relatively smooth and doesn't appear as though it will damage the vehicle seat. The fit and finish of this Britax are better than most of the competition. The bottom of the seat is smooth and fully covered with a rubber edge and raised lettering. It is unlikely to cause any damage to a vehicle seat or leave significant indent marks. The Boulevard is the second heaviest seat in the group at 28 pounds 7 ounces. The Boulevard is heavy at 28 lbs 7 ounces; with the anti-rebound bar, it gains 1.05 lbs in the rear-facing position only. The Britax Advocate ClickTight ARB weighs 30.62 lbs rear-facing. The lightest seat is the Evenflo Tribute at just over 9 lbs, making it a better option for urban dwellers who may need to carry this seat from taxi to town. On the upside, the Boulevard is fairly narrow at 18 inches, with only four seats in this review measuring smaller. Seat saver waterproof pad — This cool pad sits inside the car seat and prevents diaper accidents and other liquids from making contact with the car seat cover. This waterproof pad is wicking and also helps keep baby dry trapping fluids inside until you get home. This product is machine washable and can seriously cut down on the time and inconvenience of removing the entire car seat cover for cleaning up accidents. Britax vehicle seat protector — Worried about your vehicle seat and how it will fare after your car seat years are over? This protective mat sits under the car seat and protects your car from spills, dirt, and rub marks that can accumulate over time. The mat is rubber and has a channeled edge that can collect liquid spills. Britax kick mat — The kick mat protects the back of the front seat from tiny feet. As your baby grows bigger and the car seat is used in a forward-facing configuration there is a good chance baby will be kicking the seat back. This mat protects the seat while providing storage pockets for organizing all your baby essentials. EZ buckle belly pad — This buckle pad cover provides extra comfort for baby and more convenience for parents. The pad holds the buckle forward when you put the baby in the seat, so you don't need to dig under baby bums to find the buckle. While it seems like a small thing, it can save time and frustration. This pad is compatible with all Britax seats and has been crash tested. Parents might also be interested in the Cozy Greens Back Seat Mirror from Cozy Greens. This mirror attaches to the headrest of the vehicle seat with two adjustable straps. The mirror has a convex shape that gives parents a wider field of view. It is crash tested, shatterproof, and requires an adjustable headrest for attachment. The Britax Advocate ClickTight is one of Britax's top of the line options. Amazon $329.99 - 13% off!